Since becoming a non-profit organization in 2018, part of Gardenality's mission is to promote education, including the sponsorship of ecological and environmental research. Part of Gardenality's mission as a 501(c)3 charity is to educate, engage, and motivate individuals with little-to-no experience with farming, gardening, or plant horticulture through interactive onlne learning technology. With the addition of Dr. Nikki Sawyer, a biologist who also enjoys educating others about the awesomeness of science, Gardenality has reaffirmed its focus on education and we have big plans for the future! Gardenality was originally created to be an interactive gardening website powered by its members. We believe we have achieved our original goal of creating a place for members to create past, present, and future gardens, to search a vast database of plant facts, to ask gardening questions and get answers from experts, and to allow people to help one another in a friendly environment. Membership is 100% free, and try to keep ads to a minimum with no annoying pop-ups to disrupt your experience. Search using the most advanced (yet simple to use!) plant search ever created! Ask gardening questions and get answers from experts! Comment on your favorite plants, answer gardening questions, or write articles to help others! 2018 is the year of big changes at Gardenality! With a shift in stafff and a new status as a 501(c)3 non-profit organization, Gardenality is ready to realize some big dreams! With your help we want to expand our database of plant knowledge, create partnerships with academic institutions to digitize and store plant data and conduct ecological and environmental studies, and create interactive education content to teach people about sustainable farming and the importance of land conservation. Keep reading for more information! We already have information on thousands of plants in our database. Our goal is to continue to expand that information so that we have the largest and most extensive database of plant information on the planet - a Wikipedia for gardening, farming, and general plant knowledge. Nothing like that currently exists (we are already the closest thing out there! ), and we believe it is a valuable resource for people everywhere. Just like Wikipedia, our plant files can be created and edited with help from the public. And just like Wikipedia, we are a non-profit organization accepting donations for the purpose of providing this service. Also among our short-term plans are to improve the usability of the current Gardenality site and to make the current site more mobile-friendly. App development is also on the table! DIGITAL HERBARIUM: An herbarium is a collection of preserved plant species used for scientific study. To help with wildlife conservation, samples of a plant (flowers, stems, leaves, seed, and fruit) are taken, dried, and preserved in a protected case. Since herbaria have been collected since at least the 1500's (the oldest known herbarium is from 1532), they also allow scientists to track changes in plant species over time. However, since herbaria contain actual dried specimens of plants, they are difficult to share between scientists around the world. The digitization of herbaria is a new, exciting meeting between old and new ways. While there are some digitized herbaria in existence, there are far more physical records than digitized ones. Thus, Gardenality would like to partner with scientists in an effort to continue the digitization of these valuable collections. 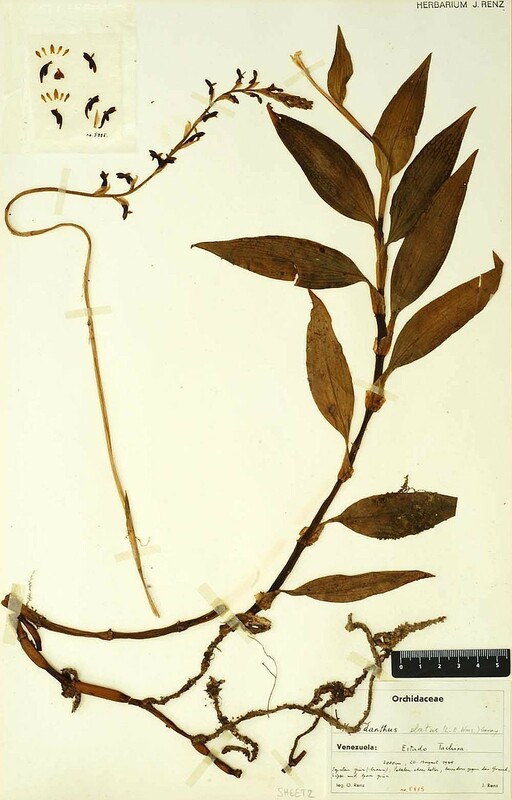 Below is an example image of a digitized sample of a herbarium specimen. ECOLOGICAL AND ENVIRONMENTAL STUDIES: As part of Gardenality's commitment to education, environmentalism, and conservation, we have plans to partner with scientists who can gain invaluable insight and knowledge from conducting ecological and environmental studies on the land purchased by Gardenality for conservation purposes. For example, Gardenality is in talks with a researcher who tests water quality and macroinvertebrate diversity as a measure of the health of a watershed and another research who is studying Eastern box turtles in their native habitat. If you are a scientist who is interested in talking with Gardenality about a possible study and/or grant collaboration, please fill out a Contact form. Gardenality also has plans to create and implement interactive educational content (games, animations, infographics, apps, etc.) to help education the public, gardeners, farmers, and anyone else who may be interested about the importance of sustainable farming, land conservation, and environmental stewardship. We would also like to create additional educational content about plants and gardening in general. Option 1: Click here to make a donation using our link to PayPal. As a 501(c)3 non-profit organization, your donation is tax deductible! Our Tax ID number is 83-1416752. Thank you!